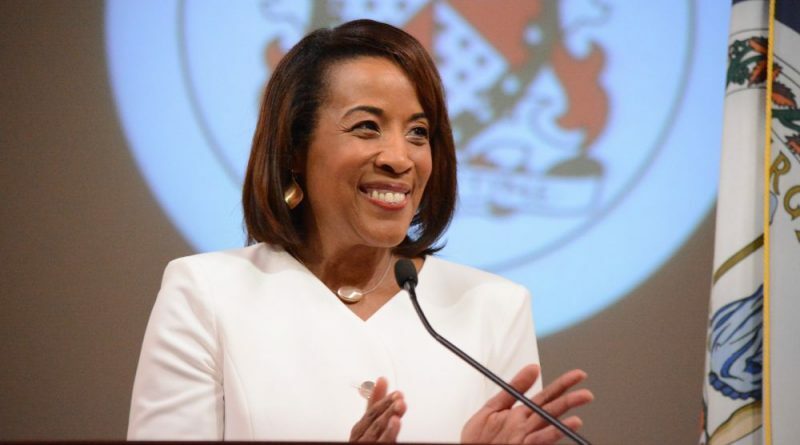 County Chairwoman Phyllis J. Randall (D-At Large) said Loudoun is “standing on the cusp of an exciting future full of opportunities, challenges and innovations” in her second State of the County address Wednesday evening. 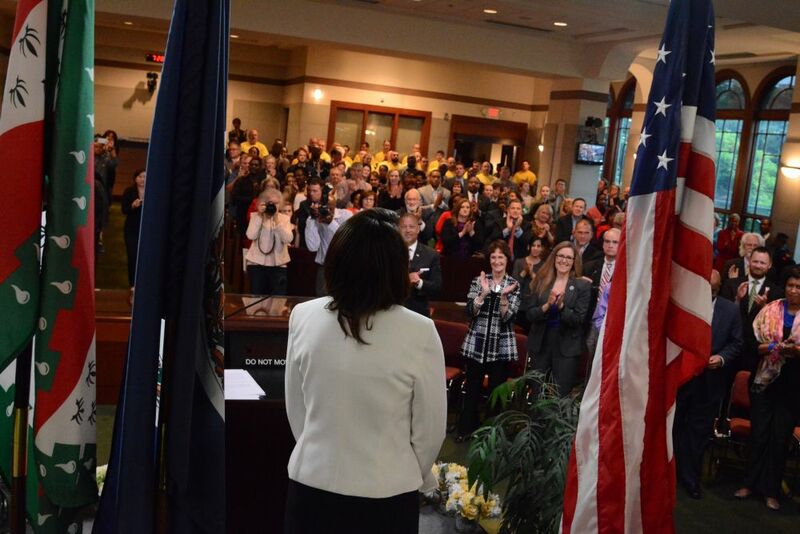 In a speech attended by elected leaders from across Loudoun, Fairfax Chairwoman Sharon Bulova, and Washington, DC Mayor Muriel Bowser, Randall touched on some of her priorities so far and her goals for the next two and a half years in Loudoun’s highest elected office. 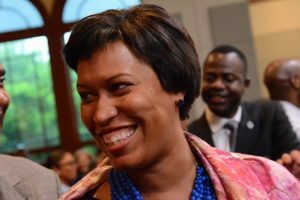 Those covered a wide range of topics, including housing affordability, small business, supporting nonprofits and at-risk communities, boosting pay for firefighters, doubling tuition reimbursements for volunteers, bringing Metro “back to good,” and the ongoing rewrite of the county comprehensive plan. Randall challenged county government, business, developers, and nonprofits to tackle housing affordability “before it becomes a crisis.” Loudoun, with low unemployment and one of the highest median incomes in the country, also has some of the nation’s highest housing costs. County economic development leaders and businesses have begun to treat housing costs as an economic development problem as businesses struggle to find workforce in Loudoun’s high-income, high-employment, highly educated population. She also touched on the death of Christina Fisher, a Leesburg mother of three who was fatally shot in April 2016. Fisher’s former boyfriend has been charged with first-degree murder in that case. At a candlelight vigil for Fisher, Randall met Derek Summers, who organized the It Takes Our Village Community Awareness Day with law enforcement, nonprofits, county staff, and the faith community. “The event represented a remarkable example of what a single Loudoun County community can and will do when faced with a crisis,” Randall said. A row of seating at the speech was reserved for It Takes Our Village. Randall also pointed out her goal to double the money in the tuition reimbursement fund for fire and rescue volunteers. She hopes to bring it from $22,500 to $50,000 by the end of the current board’s term, and pointed to the board’s vote to put $8,000 toward that goal this year. The mental health system, she said, has not kept up with the county’s growth. Nonprofits, she said, have filled the gap, and the county has a responsibility to support the most at-risk people. She also said it is in the best interest of all Loudouners to get Metrorail back in shape, since it supports major workforces in the DC area, including the federal government. On previous Boards of Supervisors, the state of the county address was held at the Loudoun County Chamber of Commerce, and was focused on business and economic development. The chamber event was made free to attend to the public. Randall moved the address to the Loudoun County boardroom. This article was updated at 5:36 p.m. on May 25 to correct an error about previous State of the County addresses at the Loudoun County Chamber of Commerce.